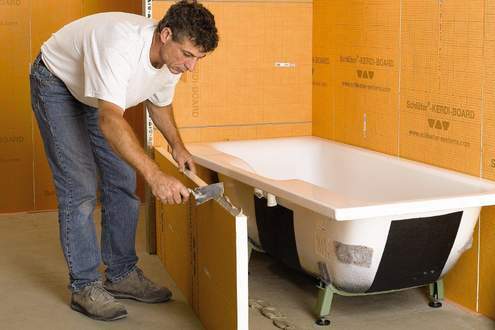 In bathroom construction, contractors are frequently expected to prepare the surroundings of bathtubs and shower trays with a suitable substrate for tiling.It is time consuming to create such areas with masonry. 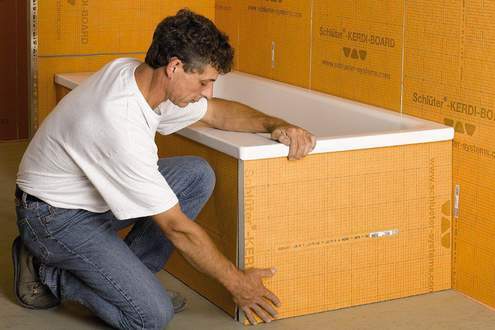 Schlüter-KERDI-BOARD can be used to quickly and simply create coverings for bathtubs that are immediately ready for tiling. 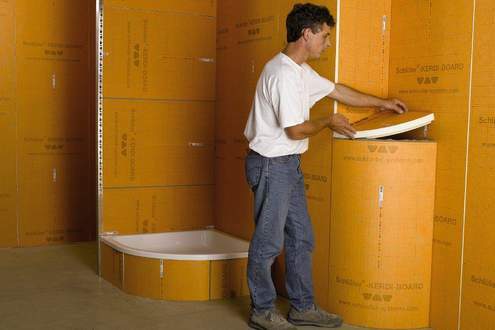 The grooved versions of the panel and the easy cutting properties of Schlüter-KERDI-BOARD also allow for effective use in curved panelling. 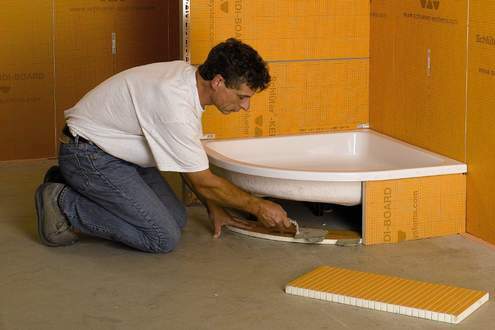 Select the panel thickness depending on the size and expected stresses of the project.